If you reside anywhere in the Eastern part of India, the ABP group, a media conglomerate straddling the print, television and digital spaces would be hard to ignore. Headquartered in Kolkata, its flagship publication Anandabazar Patrika started out as a four-page evening daily in 1922 retailing at a handsome cover price of two paise, with a circulation of about 1,000 copies a day. Over the years, the group, controlled by the Sarkar family, has evolved into a media giant that reaches out to six million readers and has its fold an English newspaper (The Telegraph), Bengali periodicals, 24-hour TV news channels, a book publishing business, a matrimonial business and several mobile and internet properties. Traditionally known to be a benevolent employer, the ABP group’s decision to downsize its workforce in February 2017, when many of its senior journalists were suddenly handed marching orders, had the media fraternity in a tizzy. While reports of the company pruning its journalistic staff by 40 per cent may be exaggerated, the group has admitted to retrenching 300 of its staff to run a tighter ship. So what has set off the ABP group’s restructuring spree? Is it merely a desire to run a leaner and more efficient organisation? Or was it dire financial straits that made layoffs inevitable? "So what has set off the ABP group’s restructuring spree? Is it merely a desire to run a leaner and more efficient organisation?" An analysis of the group’s latest available financials (FY16) suggests that it was most likely the first reason. While a consolidation exercise within the group weakened the flagship’s balance sheet last fiscal, both the electronic and print media arms still ran profitable operations. We accessed the latest statutory filings of the privately held companies from the Ministry of Corporate Affairs (for FY16 and FY15) for a deep-dive into the financials of the ABP group. ABP Private Limited is the flagship company of the group, with two wholly owned subsidiaries – ABP News Network and ABP Digital (as of end-March 2016). Equal slices of 19.5 per cent each in ABP Private Limited are distributed among four members of the Sarkar family - Aveek Kumar Sarkar, Arup Kumar Sarkar and his wife Shithi Sarkar and son Atideb Sarkar. A holding company ABP Holdings Private Limited holds the remaining 22 per cent. This holding company in turn features Aveek Sarkar, Arup Sarkar, Atideb Sarkar and Shithi Sarkar as its four joint shareholders, with 25 per cent equity stakes held by each. ABP Holdings Private Limited makes no material contribution of its own to the group finances. It had five loss-making subsidiaries namely, Business Media Pvt. Ltd., Ananda Offset Ltd., Telegraph Publications Ltd., Naba Mudran Private Ltd and Calcutta Media Institute, on which no details are available. The print publications of the group have successfully managed to stave off competition in their core market of West Bengal. 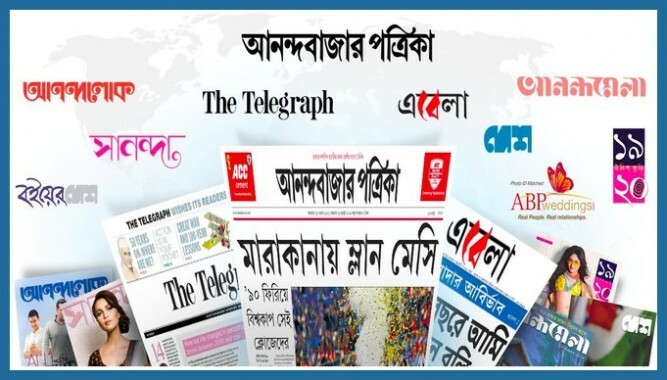 Audit Bureau of Circulation (ABC) numbers for January to June 2016 show Anandabazar Patrika, with an average daily circulation of 11.15 lakh copies, far outpacing its language rivals Bartaman (6.5 lakh) and Sangbad Pratidin (2.6 lakh). 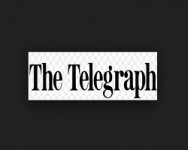 Among the publications submitting data to ABC, The Telegraph was ranked as the fourth largest circulated English daily in India, with a daily print run of 4.64 lakh copies. Both The Telegraph and the Times group seem to have benefitted from the decline of The Statesman in West Bengal. A pure-play print giant until 2002, the ABP group forged an entry into the television segment in 2003, by acquiring a 74 per cent stake in Media Content and Communications Services India Private Ltd from Star News Broadcasting Limited. This was rebranded as ABP News Network (or ANN). In 2012, it mopped up the remaining 26 per cent too, and became the sole owner of this business. In FY16, the group swept its many television businesses housed in various subsidiaries into one company- ABP News Network Private Ltd, through a complicated merger. While ABP Private Limited now operates the print businesses of the group on a standalone basis, its subsidiary ABP News Network runs all the television and satellite ventures. ABP Digital is a newly incorporated entity targeted at the internet; it hadn’t commenced operations in FY16. On a consolidated basis, the group clocked gross revenues of Rs 1326 crore and profits after tax of Rs 90.6 crore in FY16. Nearly 70 per cent of its topline came from print publications (Rs 922 crore) while television chipped in with the remaining Rs 404 crore. The print business, over the years, has absorbed much of the capital deployed by the group with an asset base twice the size of the electronic business in end FY16. But lately, the group has been stepping up investments in the electronic and digital businesses. In FY16, the electronic/digital business (Rs 28.4 crore) commandeered a larger slice of the annual capex than the print business (Rs 22.7 crore). The best way to understand the financial position of the group is to look at its print and electronic media segments separately. As it turns out, they offer quite a contrast. The financial snapshot of the print business can be had from the standalone financials of ABP Private Limited, which publishes Anandabazar Patrika, Ebela, The Telegraph and five other Bengali magazines. Of these though, Anandabazar Patrika and The Telegraph chip in with nearly 85 per cent of its revenues. In FY16, the print business stood on a solid financial footing. "In FY16, the print business stood on a solid financial footing." As per its latest filings, ABP Private Limited earned standalone revenues of Rs 956.5 crore, a modest 3 per cent increase over FY15. Subscriptions to newspapers and magazines brought in 22 per cent of the firm’s total revenue (Rs 210 crore), while advertising raked in 74 per cent (Rs 712 crore). This is a very respectable subscription-advertising mix. Events brought in about Rs 21 crore. Subscription revenues registered a mild dip of 2.6 per cent in FY16, but was made up by a 4.7 per cent increase in ad revenue. Net profits for the year registered a hefty 47 per cent increase to Rs 30.1 crore from Rs 20.4 crore. The profit jump came mainly from lower raw material costs. In FY16, the company spent 28.5 per cent of its revenues on raw materials, compared to 33.6 per cent the previous year, providing a nice 500 basis point lift to its operating profit margins. The global fall in newsprint prices and hedging contracts on forex seem to have contributed to these savings. But higher employee payouts (up from 19.7 per cent of revenues to 22.7 per cent in FY16) soaked up some of the savings on newsprint. The wage bill expanded by 20 per cent. Other print media groups, like the Indian Express have seen a spike in their wage bill on account of the implementation of the Wage Board in the last two years. But with ABP Private Ltd making no special mention of Wage Board payments or arrears in its financial statements, it is difficult to say if this factor contributed to the spike. Thanks to raw material savings, ABP Private Limited’s operating profit margin improved from 13.9 to 14.8 per cent in FY16. These margins are quite comparable to Indian Express Private Ltd which reported a similar 15 per cent operating margin in FY16. However, ABP’s margins at the net levels, at 3.1 per cent, were quite inferior to the 9 per cent reported by Indian Express. Hefty borrowing costs of Rs 56 crore ate into ABP Private Ltd’s profitability at the net level. A part of these borrowings have been used to fund the television business. The thin net margins may have exposed the company to a profit squeeze in the last quarter of 2016, as the note ban severely dented the ad revenues of many print publications. The balance sheet of the print business was in good shape, with a net worth of Rs 468 crore in end March 2016. Long term loans amounted to Rs 209 crore, containing the debt-equity ratio at a moderate 0.45 times. The company did rely on short-term borrowings to a significant extent, with such loans at Rs 229 crore as of end-March 2016; but the overall debt-equity ratio remained at comfortable levels. As per the cash flow statement, during the year, the company raised new loans totalling Rs 667 crore and repaid old borrowings worth Rs 773 crore. Some of this was prepayment of term loans that actually weren’t due. As against earlier borrowing costs of 12 per cent plus, the company locked into the new loans at 11.05 per cent, thus lowering its annual interest outgo. While ABP Private Ltd’s balance sheet is quite sound, it doesn’t appear to believe in saving for a rainy day. For a total balance sheet size of Rs 1217 crore, the company maintained miniscule cash and bank balances of Rs 46 crore by end-FY16 and featured no liquid investments. Apart from the Rs 472 crore invested in fixed assets, Rs 221 crore was ‘invested’ in short term loans and advances. As we will later see, a sizeable portion of this represented an interest-free loan to the television arm ABP News Network. While the financial position of the print business was on solid footing in FY16, that of the electronic business was on more shaky ground, thanks to its penchant for consolidation. Business-wise, FY16 proved to be a fairly good year for ABP News Network. It reported revenues of Rs 412.2 crore in FY16, up 8 per cent from the previous year. With just employee expenses (29 per cent of revenue) and overheads (52 per cent) to contend with, the business even clocked better margins than the print business with operating profit margins of 18 per cent. The net profits at Rs 60.5 crore were higher than the print business on a smaller revenue base. They showed a 15 per cent increase. But profits were helped by the company leaning on its parent ABP Private Limited for funding part of its operations. Had it borrowed at market rates, net profits may have been far lower. Three of the four news channels in ABP News Network’s fold showed good traction. ABP News, the main Hindi channel maintained a 12 per cent market share in FY16 with its revenues up 9 per cent to Rs 260 crore. ABP Ananda retained its stranglehold on the Bengali news space with a 41 per cent viewership share, and a 16 per cent jump in revenue (Rs 77 crore). ABP Majha, with a 36 per cent share of Marathi viewership saw a 15 per cent dip in revenues (Rs 45 crore), but this was due to an election boost the previous year. The newly launched ABP Asmita in Gujarati was still in the nascent stages. Digital initiatives made a small contribution, but showed traction with a 51 per cent jump in revenues to Rs 12.3 crore. While there was nothing in the P&L to cause alarm, it is the balance sheet which was a source of worry. The company has sizeable accumulated losses from previous years weighing down its finances. On this score, it finished FY16 far worse off than it began, with accumulated losses of Rs 282 crore by March 2016, compared to Rs 213 crore in March 2015. During FY16, the ABP group decided to consolidate its splintered electronic media businesses into ABP News Network. This consolidation was put through via a complicated process of the flagship firm (ABP Private Ltd) first selling shares in a subsidiary - Satellite Holdings, to ABP TV. After this, all assets and liabilities of ABP TV and two other subsidiaries - Satellite Holdings, and Goldvision Entertainment - were taken over by ABP News Network. The group cited a wider capital base, lower overheads and more efficient utilization of resources as the rationale for this consolidation. True, the merger has simplified the corporate structure and brought down the number of subsidiaries for the flagship ABP Private Ltd from five to two. But it has also saddled ABP News Network with a considerably weakened balance sheet. ABP News Network’s net worth had slipped from a positive Rs 78 crore in March 2015, to a negative Rs 111 crore by end March 2016 as accumulated losses from the merged entities were taken over. The company’s total borrowings also shot up nine-fold from Rs 24 crore to Rs 221 crore, thanks to the merger. The bulk of these were short-term loans, which stood at Rs 190 crore post-merger, compared to nil the previous year. However, the one comfort is that a chunk of these short term loans are on an interest-free basis from the parent company - ABP Private Limited. Having thrown a lifeline to its subsidiary, the parent may not insist on repayment while the company is in straitened circumstances. Unlike the print business, the electronic business doesn’t have sizeable fixed assets, with the number at Rs 55 crore by March 2016. Overall, with current assets at barely half the current liabilities and a negative net worth, ABP News Network’s balance sheet post-merger is unlikely to enthuse lenders to queue up to finance it. However, the backing of its parent and the market standing of the ABP group may ensure the flow of bank funding. Given that it runs a profitable operation and generates free cash flows, ABP News Network can be expected to mend its finances if its profit growth continues its current trajectory in the next few years. In the FY16 annual report, the management outlined plans to grow revenues by 10 per cent annually through expansion into smaller towns, price increases, monetisation of the Gujarati news channel, events and ‘special client’ projects. "Given that it runs a profitable operation and generates free cash flows, ABP News Network can be expected to mend its finances if its profit growth continues its current trajectory in the next few years." But until these initiatives pay off, the firm’s weakened balance sheet would certainly render it vulnerable to sudden adversities, as demonetisation probably did in 2016. ABP Digital Private Limited, a relative newbie to the group, is focused on the fancied digital and e-commerce themes. It is presently testing out concepts like the entertainment focused T2Online.com (the site hasn’t been officially launched as yet). Popular digital properties of the group may also eventually enter the fold. After Aveek Sarkar stepped down as Group Editor, he is believed to be leading these digital initiatives and directly overseeing ABP Digital. The ABP Group also is a force to reckon with in the regional matrimonials space. Decades of matchmaking expertise, exemplified by 'Patrapatri' (matrimonial classifieds) has been reinvented online in the form of ABPweddings.com. However, the financial details of this nascent business are unavailable. Flamboyant Aveek Kumar Sarkar, a prominent personality in the Indian publishing scene, is the Editor Emeritus of the ABP group. Recently, in a dramatic turn of events, he stepped down as Editor of Anandabazar Patrika and The Telegraph and Aveek's younger brother Arup Kumar Sarkar was anointed Chief Editor of all the group publications. His resignation was attributed, without confirmation, to the Trinamool Congress’s allegations that the group had led a ‘partisan campaign’ against the party during elections. As mentioned in the analysis above, apart from the 22 per cent stake held by the holding company, Aveek Sarkar and Arup Sarkar own 19.5 per cent equity each in the flagship ABP Private Ltd. Arup's son Atideb Sarkar and wife Shithi Sarkar also own 19.5 per cent each. But interestingly, both of Aveek Sarkar's daughters - Chiki (a publisher by profession) and Buku do not have any direct stake in ABP Private Ltd. Aveek and Arup are sons of Ashok Sarkar, who passed away in 1983. This seems to be a family tradition with Ashok Sarkar’s daughters also owning no direct stake. Despite being a regional player, the ABP group has been quite active in the M&A scene. In 2013 it sold off the Business World magazine to media professional Anurag Batra and investment banker Vikram Jhunjhunwala for an undisclosed sum. Its foray into electronic media came about through a joint venture with the STAR group in 2003. The promoter family did not receive any dividends from their investments in ABP Private Limited in FY16. However, they did take home hefty compensation packages. As per the consolidated financials, Aveek Sarkar received a total remuneration package of Rs 7.98 crore from the firm both in FY16 and FY15, while Arup Sarkar took home the same package. The Managing Director and CEO of the Group- D D Purkayastha received Rs 8.4 crore in FY16 (Rs 8.4 crore in FY15), Aritra Sarkar (Arup Sarkar’s son) received Rs 2.16 crore and Arup Sarkar's second son Atideb Sarkar received Rs 40 lakh. Director – Sales, Chandan Majumdar, received Rs 66 lakh in annual compensation. Overall, the annual pay package to the extended promoter family amounted to nearly 19 per cent of the Rs 99 crore profits before tax, reported by the consolidated entity.